If you look at the musical relationship between The Civil Wars’ Joy Williams and John Paul White as a movie—appropriate, given their arrival during the Sundance Film Festival—they have the perfect “meet-cute” scene to open the flick. Flash back 18 months to a Nashville conference room crowded with about 20 songwriters gathered to come up with radio hits for a mainstream country act. While the afternoon’s assignment was ultimately a failure, the gal from Northern California with a background in gospel and the Beach Boys and the lanky Alabama fellow whose daddy raised him to love Johnny Cash and Townes Van Zandt found themselves matched up via drawn straws and immediately hit it off. Actually, “hit it off” is putting it mildly. The songwriting spark burst into a prolonged creative session, minus the 18 other writers from their first “date,” and The Civil Wars was born. As fortuitous as their initial meeting proved to be, that was just the first stroke of luck in a series of events that’s marked the duo’s career so far. On a lark, they recorded their second-ever gig and released it as a free download called Live at Eddie’s Attic. Not long after, their song “Poison & Wine” was played on an episode of Grey’s Anatomy, leading hundreds of thousands of people to Google the unknown band and download the Live at Eddie’s Attic set. Praise for their sparse, moving, slightly twangy songs came from music-geek quarters like Paste Magazine and from new fans like Taylor Swift. “To see such an underground swell be created so organically and so much out of our control is so encouraging. It only fans the fire of us continuing to be passionate about creating things we’re proud of and want to share with people,” Williams says about The Civil Wars’ rapid ascent as she and White prepare for a headlining gig at the State Room and two shows at the Sundance Film Festival Music Café. 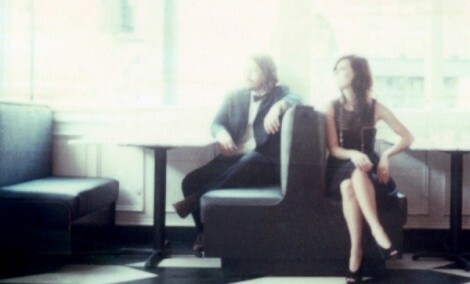 For his part, White feels like they’ve already matured as a duo in the hectic time The Civil Wars have been together. Replicating the sound of songs like the title track, “Poison & Wine” and “Forget Me Not” live shouldn’t be a problem. Minus a few subtle flourishes, The Civil Wars’ songs are purely a creation of White’s guitar, Williams’ piano and their two voices intertwined in harmonies alternately joyous and mournful. And according to Williams, finding the energy to tackle the road trip and other responsibilities that come with releasing the album themselves isn’t daunting in the least to The Civil Wars. Thursday, Jan. 20, 8 p.m.
Thursday, Jan. 27, 4 p.m.
Friday, Jan. 28, 4:30 p.m.